Now a days, there are too many promotional calls and SMSs that comes unwanted on our mobile phones. If you often gets disturbed by these offers then there is a simple solution for you, that is So Not Disturb (In short DND) . Most of you may already know about DND. This service is available for customers of all network carriers like Airtel, Aircel, Vodafone, BSNL, Idea, Reliance, Tata Docomo, Videocon etc. In conventional method, you have to make a call to customer care for this. The other method is via sending a message, this method works most of the time but sometimes we gets a reply like 'Sorry, we can't proceed your request'. Here,In this How to Tutorial, i will give you details on all three methods that is via message, call and via Internet (Online). So, lets start . Call on this number from your phone on which you want to activate or start Do Not Disturb service. Then follow the instruction given by them. This method almost works for most users. The number is same for Airtel, Aircel, Idea, Vodafone, BSNL, Docomo and Reliance. If this method is not working for you (like in my case). Then there is one another method which is also very simple. 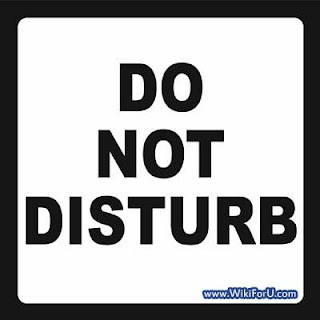 In this method, we will activate Do Not Disturb by filling a form Online. Follow the steps given below to Activate DND via Internet on your Mobile Phone. There is a list of all Indian cellphone network carriers including Airtel, Aircel, Idea, Vodafone, BSNL, Docomo and Reliance in the left sidebar. From the left sidebar, choose your network carrier. For example, in our case we going to activate DND on an Airtel Prepaid Number. Now in the center (main content) where it says like Register Mobile Number for DND. There will be a link given like : 'Please click here to register your number in DND list. Click on this link. This link will redirect to the respective carrier's webpage where you can fill your desired number and get yourself listed in DND activated customer's list. Please tell us via comments if you face any problems or have any queries. try http://dndstatus.com to check dnd status of mobile in India.